(Originally Posted 12/18/2014) The festival of Saint Lucia is a Swedish tradition. On December 13th, as we enter the darkest time of the year (reportedly very dark in Scandinavia), St. Lucia bears the candles that bring light. More interesting, according to the official site for Swedish Cultural Traditions, the competition to play Lucia in local and national celebrations is fierce in a country unaccustomed to beauty pageants and homecoming queens (I’m quoting the site there, I have no personal perspective on Swedish homecoming queens). 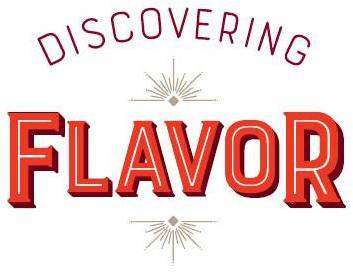 Even more interesting: it’s all one big excuse for Americans to create a smorgasbord. The principal food of St. Lucia is lussekatter – sweet(ish) breads flavored and colored with saffron (or if you’re a cheater like me, with a quarter teaspoon of turmeric). The bread is important because Swedish cooks take their breads and pastries seriously and also in quantity. 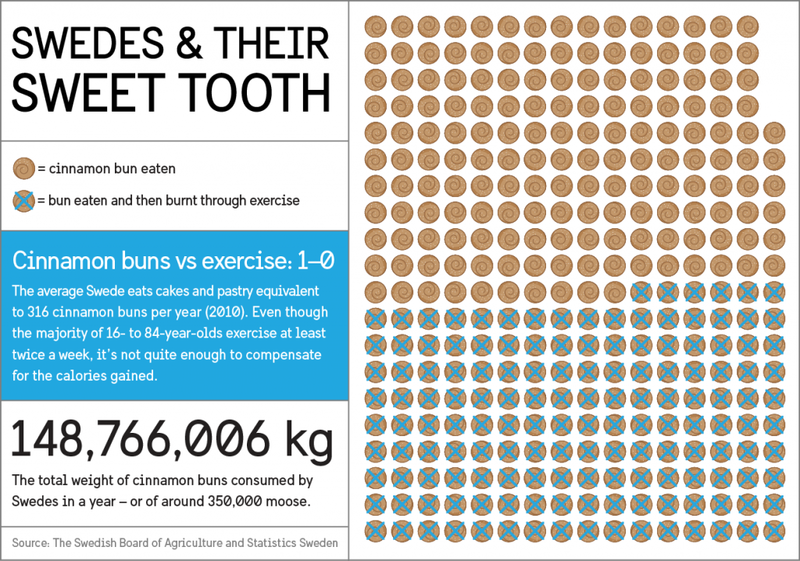 I know so because I’ve seen an infographic from the Swedish Board of Agriculture and Statistics detailing the sweets consumption, as measured in Cinnamon Bun equivalents and, inevitably, moose. The menu that we served for our Vermonter’s version of St. Lucia produced plenty of leftovers, which in turn produced dishes even better than the originals. In particular, and inspired by the infographic above, the “Swedish Brunch.” I used a King Arthur Flour recipe for sourdough cinnamon rolls (here’s a non-sourdough version) and paired it with a Janssen’s Tortilla: leftover Janssen’s Temptation (see list below) potatoes filling a pie pan, with 1/3 cup of cream cheese chopped up and sprinkled across the top, then five eggs beaten with 2 Tb milk and poured over that. Bake at 375 until set (about 25 minutes). Add mimosas. 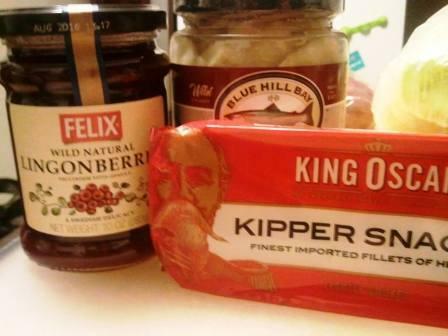 Pickled Herring, Boiled Eggs, Cured Salmon, Pickles, Crispbreads – For crispbreads I used the aromatic crackers recipe from Flavor Flours, substituting Rye Flour for brown rice flour. Pea Soup – I made this vegetarian so that there could be a complete vegetarian meal available. It would have tasted a lot better with ham. Roasted Red Cabbage with Dukkah Spices – The spice mix is given as part of this larger recipe. A dozen (or so) small beets, peeled and left whole. Roast these at 400-degrees with plenty of olive oil, salt, and pepper until soft. Beets take FOREVER to bake. It will depend on their circumference – plan on 45 minutes.After 30 minutes, squeeze half a lemon over the beets (have a second lemon available in case this half isn’t very juicy). Remove roasting pan from oven and let beets cool a little bit. Oil a rimmed baking sheet (11 x 17). The rim part is important if you don’t want to risk dinner sliding onto the floor. Sauce: Squeeze the second half of the lemon into 3/4 cup of whole yogurt with a pinch of salt, 1 Tb of honey mustard, and enough milk or cream to thin so that it is drizzle-able (won’t be much – it depends on the yogurt consistency). Serve on a bed of salad greens. If you have a nutty flavorful green like arugula add that in, but particularly sharp greens like radiccio will be too much with the lemon and yogurt. If you’re feeling fancy, I recommend arranging a circle of thin orange slices (half moon shape) around the edge of the serving dish. Orange flavor pairs nicely. The starting inspiration for this recipe was this Bon Appetit recipe.